Summary: Georgia's HOPE program provides a large amount of money for Georgian students to attend colleges and universities within Georgia (surpassing the amount of PELL money students in the state receive). The merit-based program is split between scholarships for students attending degree-granting 4-year institutions and grants for students attending largely technical schools. This chapter explores how despite the increase in students meeting the merit-requirements to qualify for the lottery to receive the scholarship or grant and entering college, it is contributing to stratification of race by institutional type. HOPE incentivizes top students to stay within state and even for students to go to 4-year schools when they might have initially gone to a 2-year institute since the costs are compared if one receives the scholarship. In fact, growth in college rates since the introduction of HOPE has been entirely at the 4-year institutes. Much of this increase has been students who would typically go out of state for education, staying in Georgia. 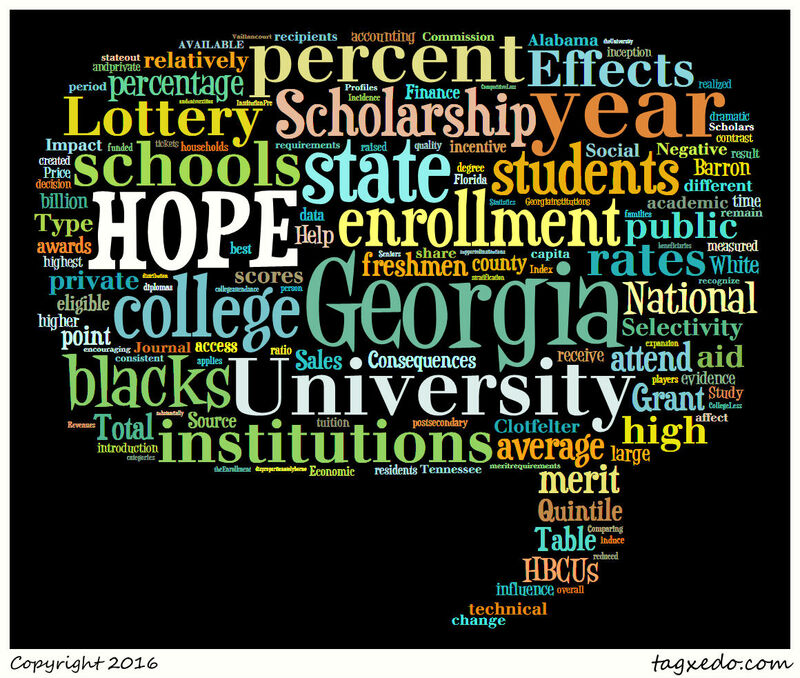 The HOPE program improved enrollments for African Americans at 4-year publics (21%) and privates (16%) but generally have much-lower enrollment rates than whites within Georgia. However, much of that increase in state was a decrease in African American students attending HBCU's out of state. African American enrollment at George's more selective colleges & universities during this time budged 4% between 1993 and 1998. 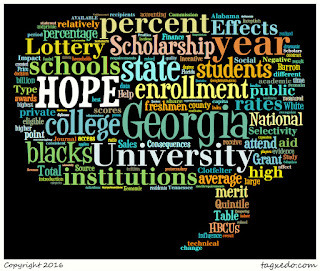 While there are clear shifts increases in white students attending colleges, the population shift for African Americans indicate that HOPE is only reinforcing stratification for African American students who do not have the academic merit to qualify for HOPE and are from lower-income households. Ironically, the HOPE program primarily benefits middle and upper-class families but is funded by a lottery, which disproportionately come from low-income, poorly educated and African-American populations. In the end, the HOPE Program has encouraged Georgian students to stay within the state but by doing so, has also limited access for students, particularly African American students who have not achieved the qualifications for "merit" as dictated by the scholarship.